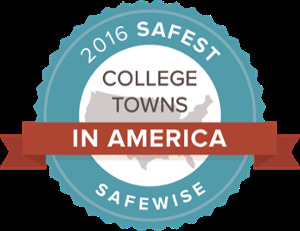 Southern Illinois University Edwardsville is situated in one of the “Safest College Towns in America,” according to the 2016 SafeWise Report. Edwardsville ranked 25th on the list of 30 towns. In an article posted Monday, Sept. 12, The Edwardsville Intelligencer detailed the ranking and expanded on the collaborative efforts of SIUE Police and the Edwardsville Police Department in keeping the community safe.